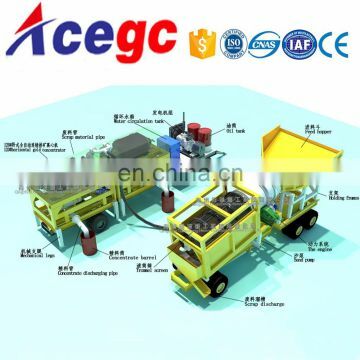 We provide types of mining wash plant,with vibrating feeder,feed hopper ,centrifugal concentrator type.Our automatic discharge gold concentrator is hot selling and now widly used on mobile gold car and gold dredger.Below are the hot selling mobile trommel concentrator car.We have send this type to Russia,Indonesia,Mongolia,Mozambique etc.If any need welcome your inquiry. 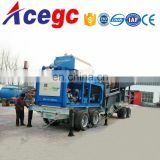 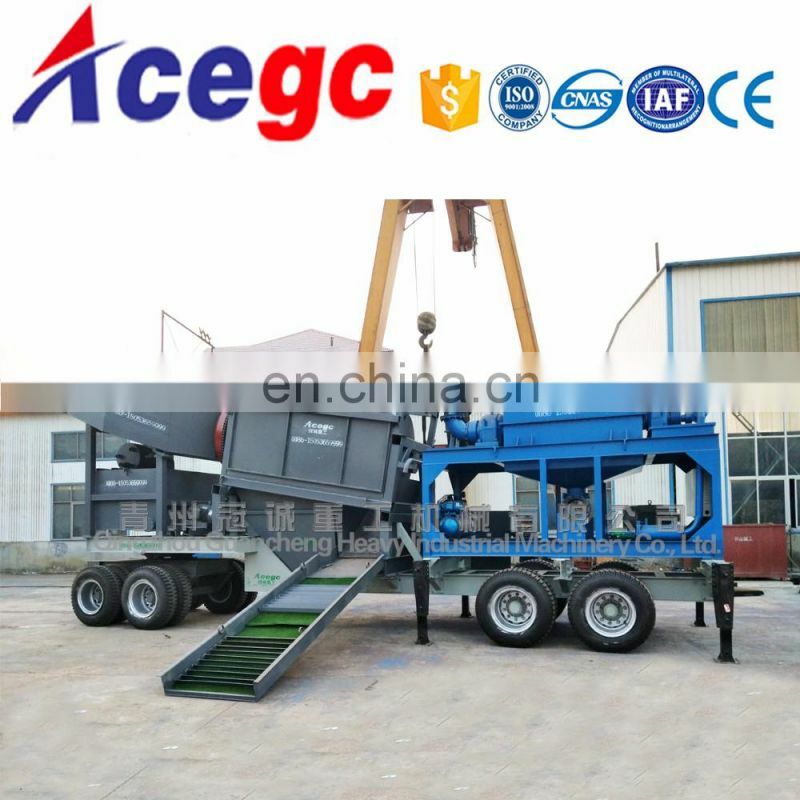 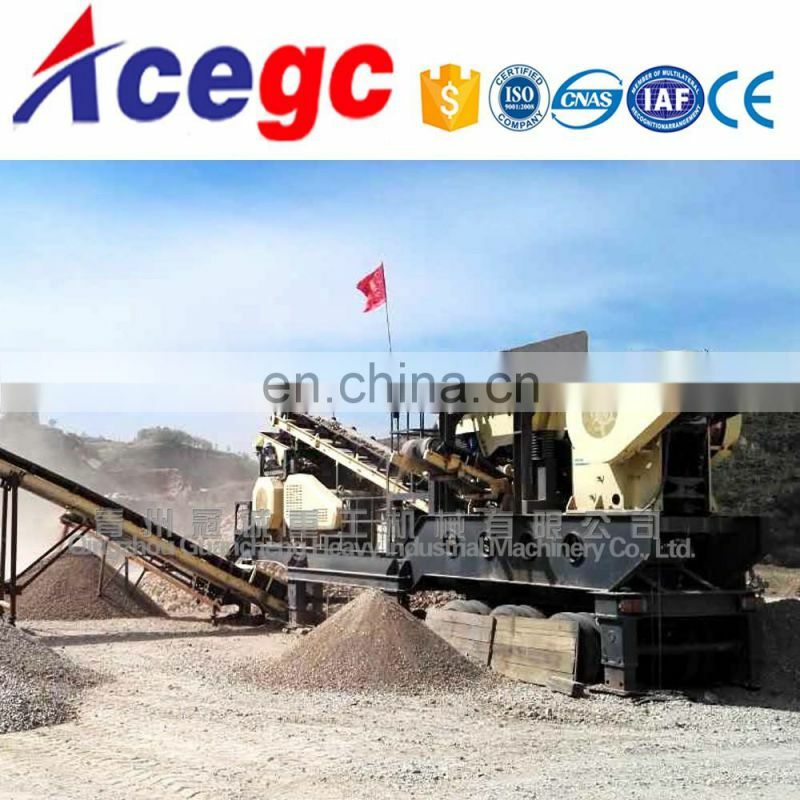 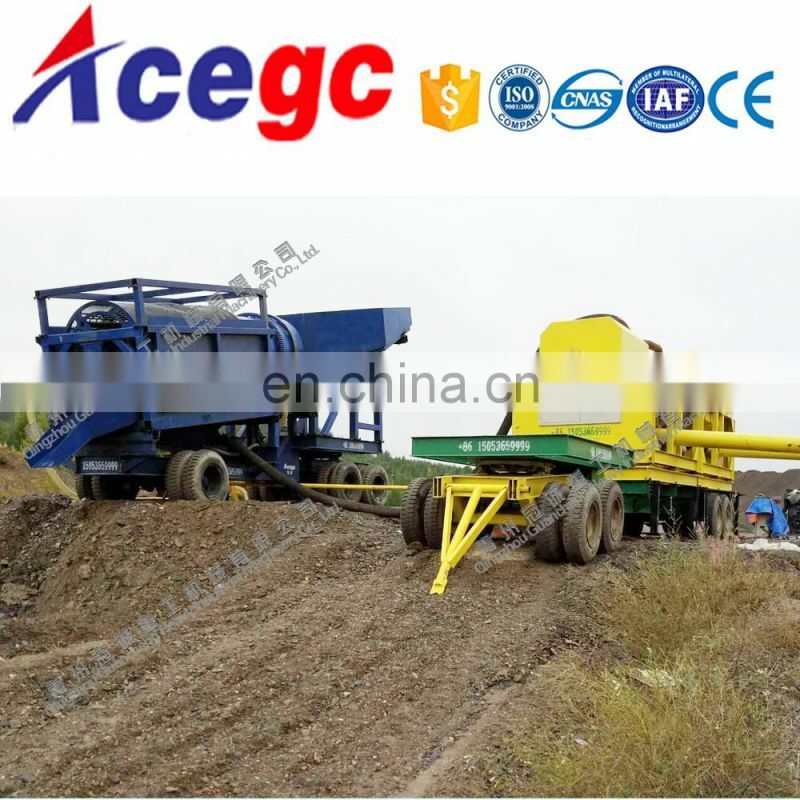 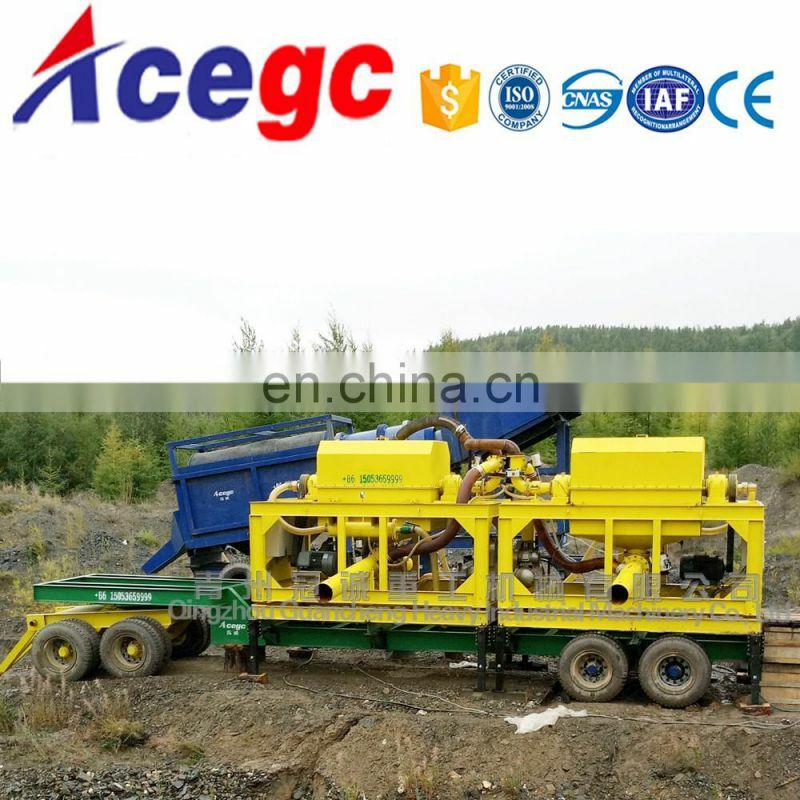 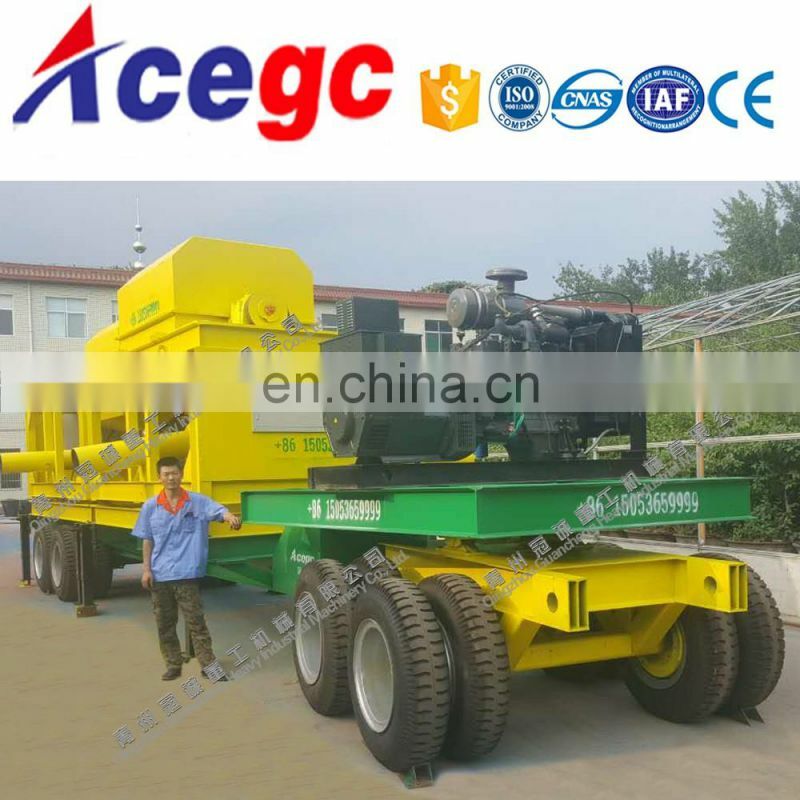 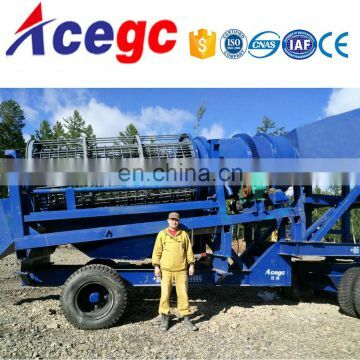 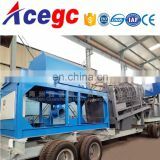 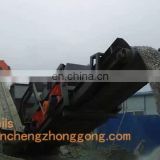 This set of Mobile Gold trommel separating machine for sale with trommel,concentrator and sluice box,raw ore capacity 200-300tph(Material≤6mm capacity 80-120tph),high recovery with the mineral,this machine with new design and very low maintenance. 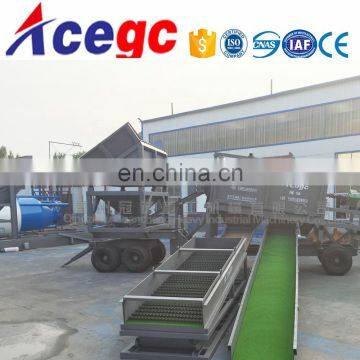 It's composed of Feed hopper,trommel screen,horizontal automatic concentrator(PLC control),fixed gold sluice etc. 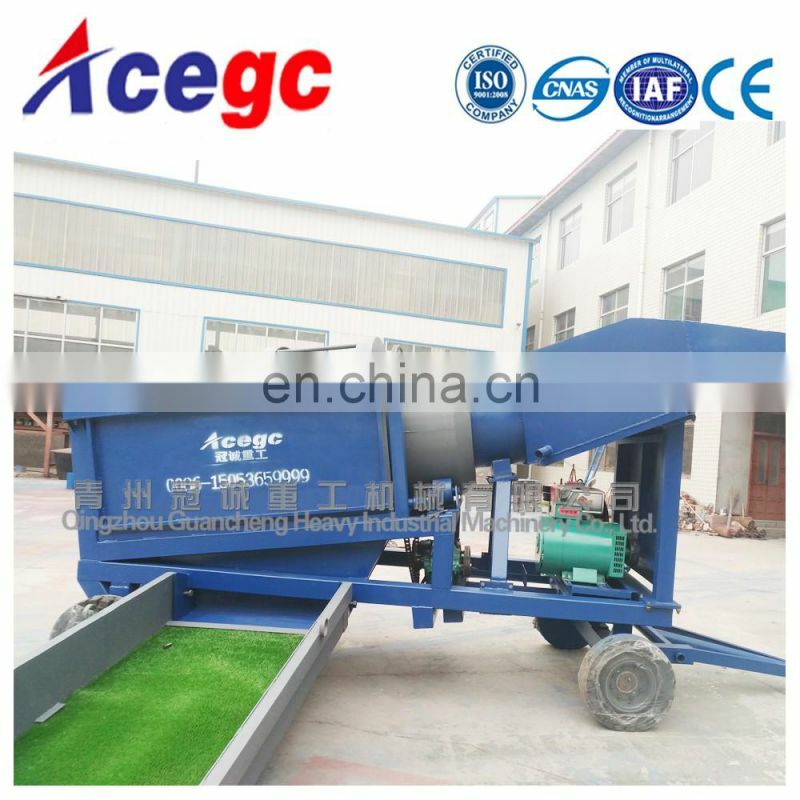 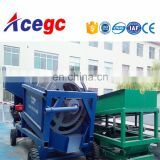 This Mobile alluvial gold wash plant with trommel,concentrator and sluice box raw material capacity 200-300tph,the automatic discharge gold concentrator working capacity is 80-120tph. 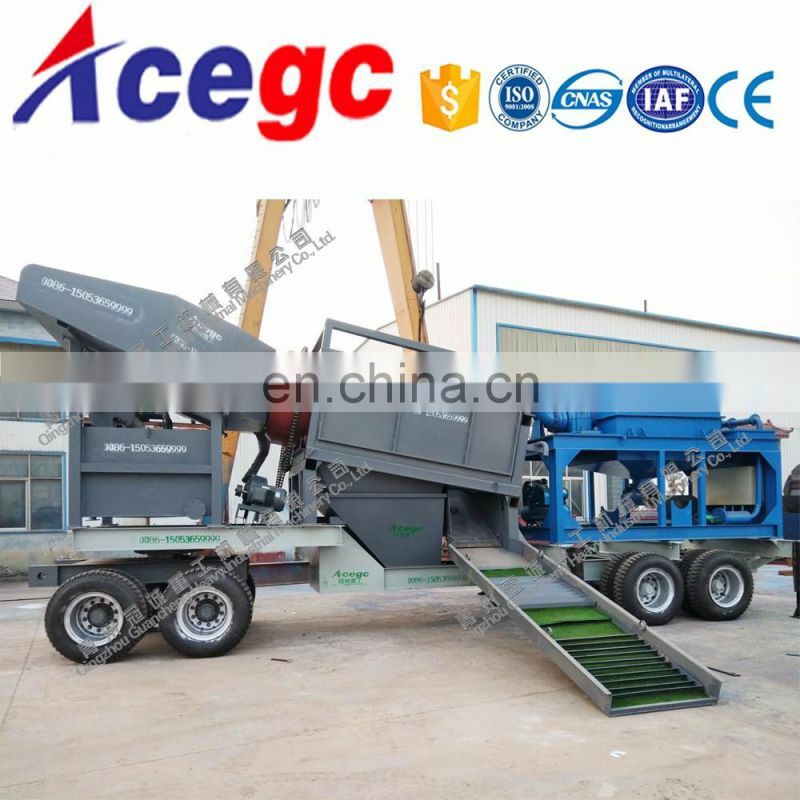 The mineral mixture getting into feed hopper then the mineral getting to be classified into:the big size >6mm and the small size≤6mm.The mineral in big size further recovered by fixed sluice to collect the gold nugget,the scrap are getting rid;the mineral in small size are sending to horizontal auto discharge concentrator by sand pump to get gold concentrate and the scrap finally are getting rid to scrap area. 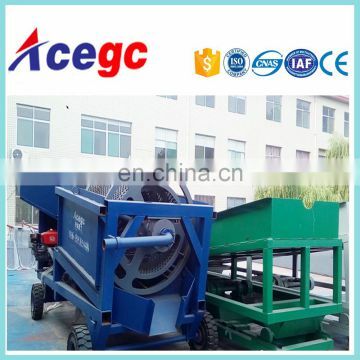 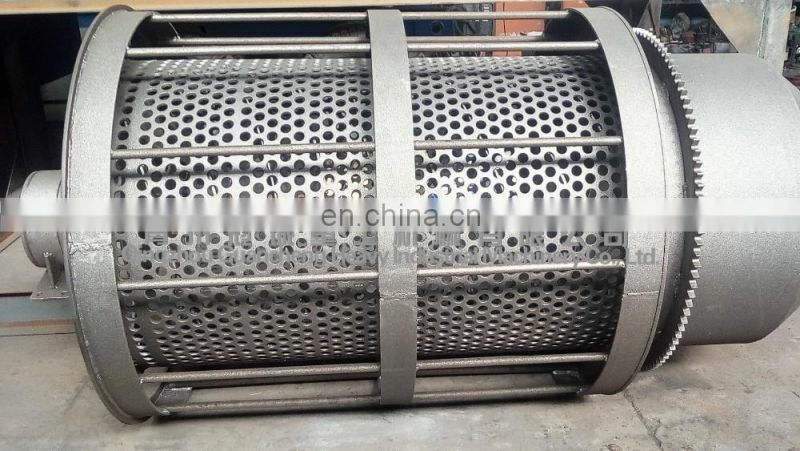 The inner sieve is made by punching process, which contains multiple reamers covering the whole inside, which can fully wring and eluting the material, which greatly improves the screening efficiency. 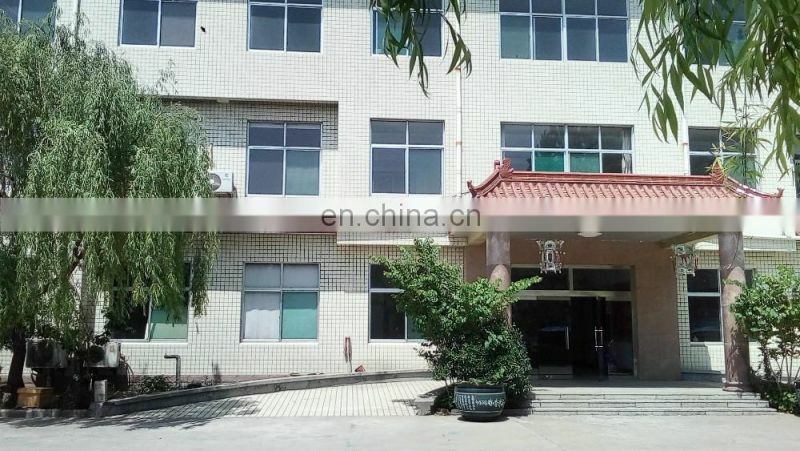 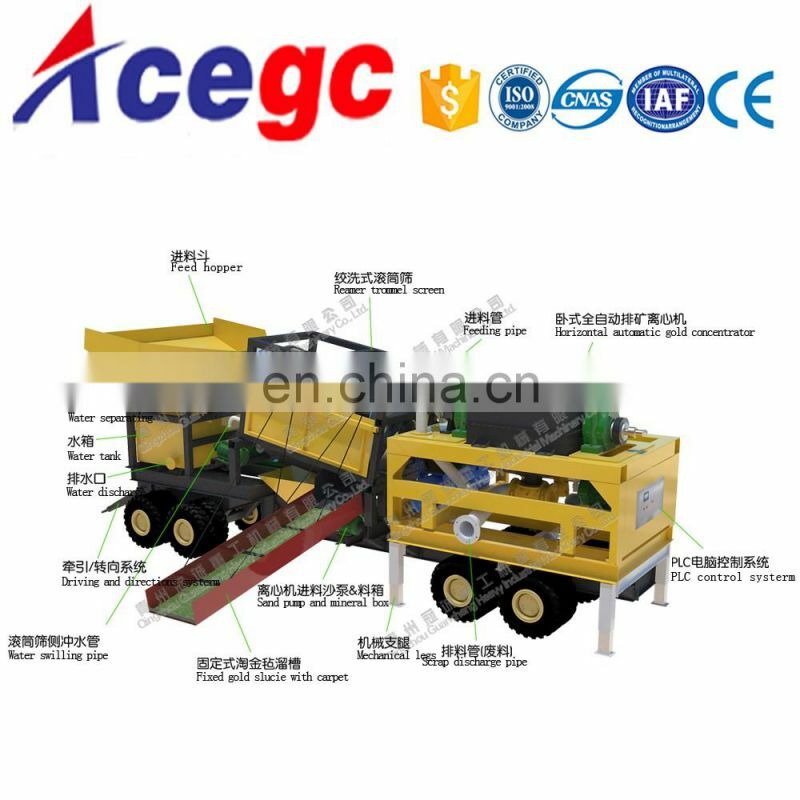 The water supply system is using central water supply and side water supply, the central water supply directly flush and swill the material on bottom of roller, the side water supply is flushing and preventing the outer layer from being plugged. 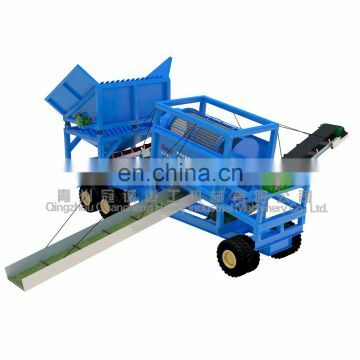 We have different types customized mobile trommel screen car for gold separating, below are one example with detail parameter. 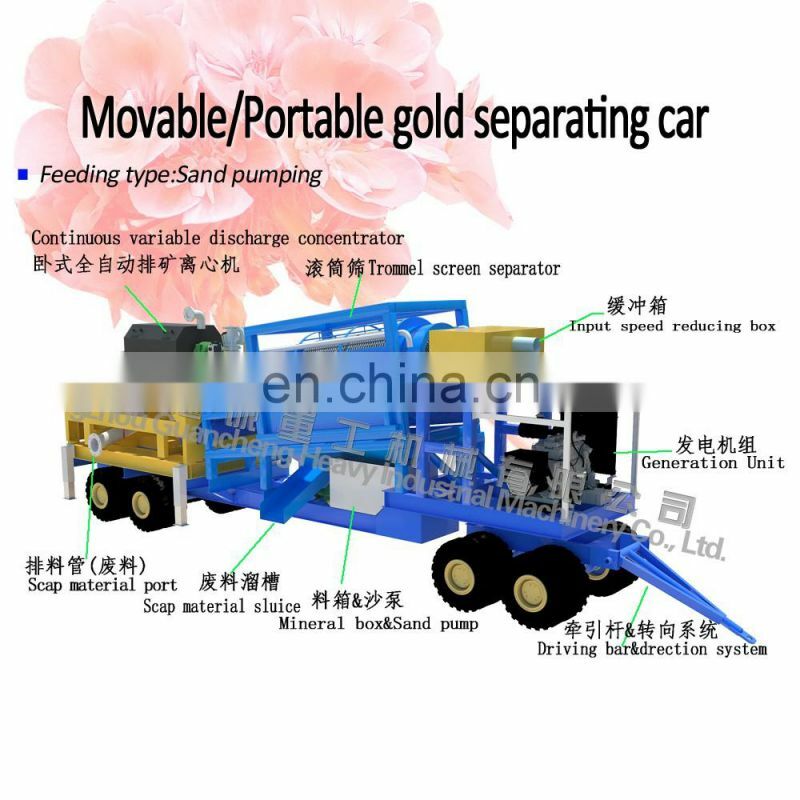 This gold separating car including generator set,horizontal gold automatic discharge concentrator,trommel screen separator,base plate and direction wheels etc.The trommel classifier and horizontal continuous variable concentrator is the important unit in this car. 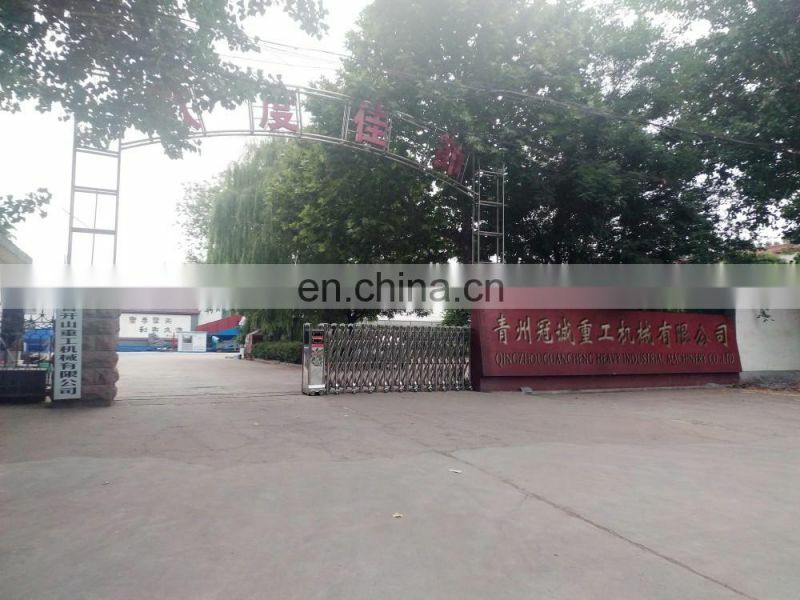 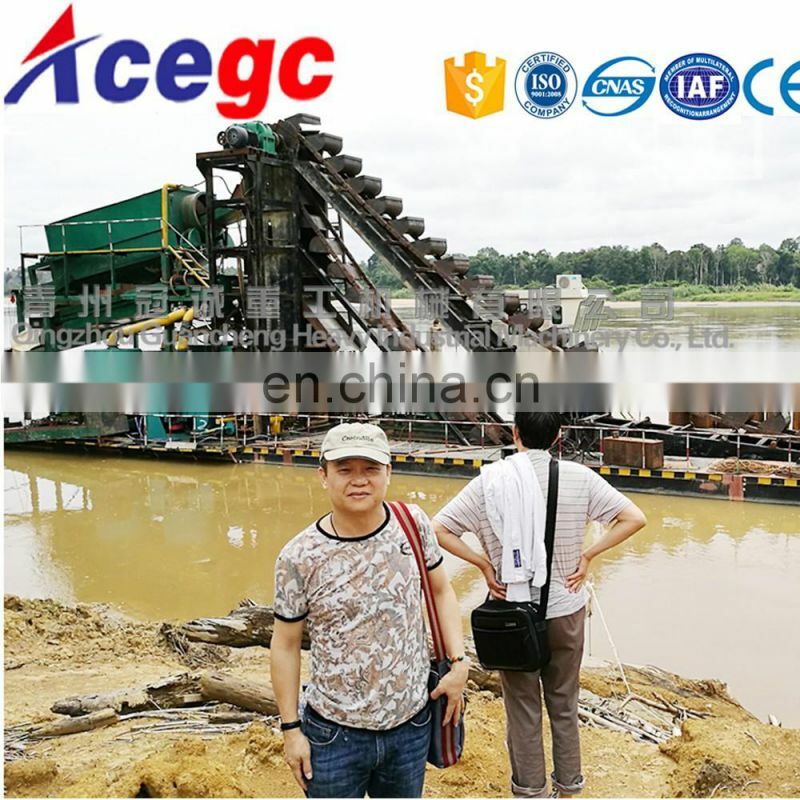 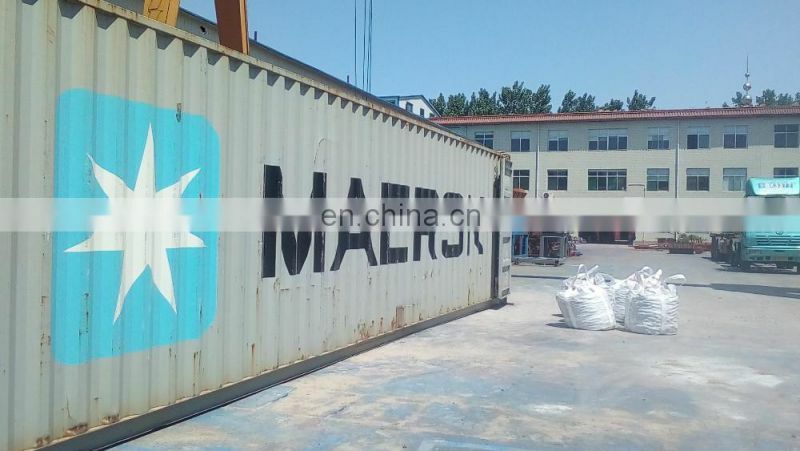 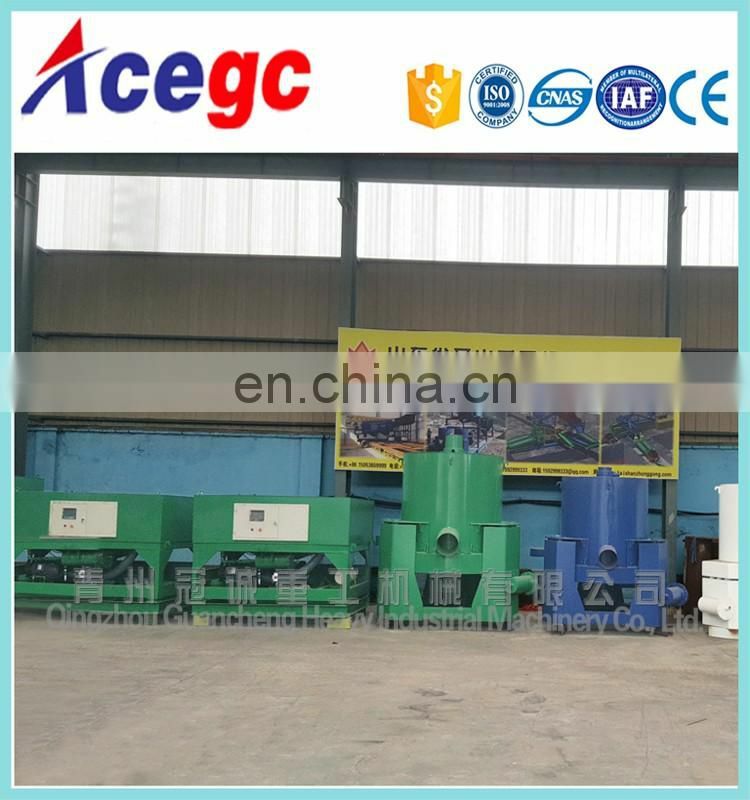 The samll size material is discharged into horizontal automatic discharge concentrator controlled by PLC through sand pump, and the concentrate automatically discharged from concentrate discharge port, scrap material is discharged into the waste area from the scrap material pipe. It's the displaying one in workshop.